Digitalization increases budget transparency and uncovers potential cost-cutting opportunities. Modern information technology and intelligent software solutions enable seamless monitoring of processes - and associated overheads. Customers can create products requiring testing, set deadlines and appointments, coordinate service providers, and upload documents. The cloud-based solution is accessible for all end-users. This makes the daily work of warehouse staff much easier. 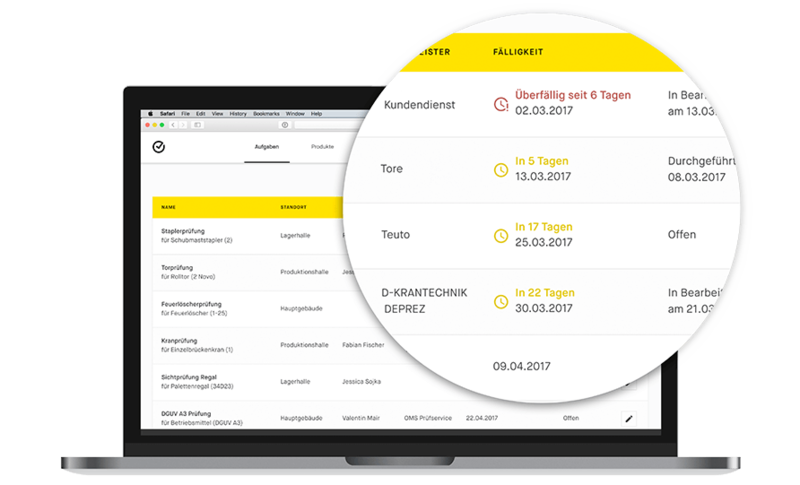 Innovative digital management enables savings in the warehousing process – and better staff time management. Exploratory interviews on the subject of warehousing were conducted with medium-sized customers to identify target groups, their needs and pain points. Based on the relevant pain points, the first ideas for the prototypes (MVPs) were developed. Validation of ideas with detailed mock-ups and live tests of the prototypes. Development of a business proposal to facilitate the decision-making process. First MVP with 15 paying pilot customers. A leading catalog business for office equipment – with 1,000 employees and more than 50,000 products, as well as a range of services.